Explains his "unifying theory of the universe"
Michael Dell opened DellWorld '15 in Austin Texas, by laying out his vision for the future of the new company following the Dell-EMC merger. Dell claims the merger will create an $80bn dollar revenue company, that will benefit mostly from its scale when selling end to end hardware, software and security - making life a lot easier for CIOs worldwide. "The new company is already a leader in 22 Gartner magic quadrants," he said. "We're incredibly excited by this combination. "Last week was about the EMC deal, this week I get to explain version 1.0 of my unifying theory of the universe," he joked. Without going into specifics, he said that his main DellWorld keynote tomorrow will explain some of his new solutions. And that "Version 2.0" will be revealed when the transaction closes. "I have spent some time thinking about all this. Where we're heading strategically as a company, the benefits for our customers, and how well positioned this new company will be." He invited two key clients of Dell's Rick Mears, CIO of Owens and Minor, and Rob Klomps, global head of infrastructure for Rabobank, to describe how their relationship with Dell will expand under the new arrangement. Global supply chain and logistics company Owens and Minor has worked with Dell for 17 years, focused on IT services. It has flipped its agenda from simple tactical operations to strategic solutions around its ecommerce and supply chain, utilising the Cloud to build better efficiencies and leverage its scale into new markets. Rabobank has been using Dell's datacentre infrastructure, which saw it overhaul its Dutch trading room. It is currently working on the London trading room. Klomps said Dell has helped the bank become more agile, more efficient and manage its opex better. It will be using Dell to help mobilise its workforce, and overcome its technical challenges relating to network transformation. Both said they were excited to be working with the new IT behemoth. The key focus Dell raised in his speech was scale - an interesting viewpoint given that key rivals such as HP are splitting to increase their agility. "We have a different viewpoint to how our company should evolve. We think scale is important. The companies that have succeeded in this industry are those that have succeeded in the volume datacentre space, and have been attached to large PC businesses, and client businesses. The volumes really matter," he said. "Customers want fewer suppliers, not more. Research from our executive summit, from CIOs, they were telling us 'you're making our jobs a lot easier'," Dell said. When asked if the merger was a response to slower growth in the enterprise-IT world, and as a response to Cloud rivals such as Amazon, Dell was blunt. "I don't see it as either. Its complicated. It doesn't lead to easy soundbites. "There are a number of things going on out there. CIOs are trying to fund transformation by reducing cost in their current infrastructure. It needs to be efficient. It needs to be ready for business. "The move to virtualisation, hyperconverged systems - where those silos had been built up during the second platform of IT, they are starting to go away. It's important to lead in the next wave of IT. The combination of Dell and EMC gives us a great position, not just in existing tech, but in the future. Customers want to tackle their existing challenges, while developing new capabilities. All companies will be measured by how well they take this information and turn it into income and success. The others will go out of business." Dell said the new deal gives the company a greater footprint, which offers opportunities to sell up the stack. Not just for consumers or enterprise, but through value add, such as its support programmes, and financing - focusing not just on capex sales, but ongoing leases. "Apply all that to the Internet of Things - all that data needs to be stored, it needs to be secured." 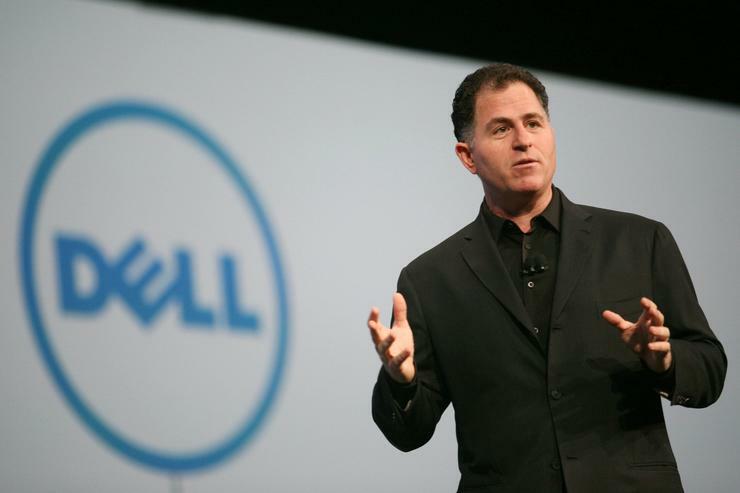 Dell would not be drawn on VMware's existing partnerships, such as with key rival HP. "They are a great partner. I don't have any other comment." He was adamant the company will not be reducing its focus on PCs. Dell claims there is an existing 1.8bn PC install base globally, with around 400 million PCs that are four years or older - a huge market opportunity for upgrades. The penetration rate for PCs is around 35 per cent in China, 10 per cent in India, 70 per cent in Malaysia - compared to 90 per cent in the USA. Asia is a huge market focus for Dell. He also foresees further consolidation in the market, which Dell will be involved in - so it appears the buying spree isn't over. "The PC market is consolidating, the largest three have a 55 per cent market share. By 2020 that will be 75 per cent. We're going to be a consolidator. We're going to continue to keep the importance around the PC. We are going to be taking advantage of what we believe is a once in a life time opportunity for the PC market consolidating," he said.